Flutist Karen Kevra finishes performing music by Gilles Yves Bonneau at the Burlington concert of the FourScore Festival of New Music by Vermont Composers. Lisa Jablow and Paula Ennis Dwyer. Lisa mugs for the audience after performing a series of art songs by Vermont composers. The Bella Rosa String Quartet performs in southern Vermont in this composite photo. Happy New Year, everybody. Much else is new: David Fuqua is our new editor of Consorting (thanks, David! ), relieving Dennis Báthory-Kitsz after many extra innings (thanks, Dennis!). Larry Read has stepped down as Director, having agreed to take the role for a year during which he led us ably (thanks, Larry!) thus catapulting me into the position of Acting Director, even though I've never been much good at acting or directing. Our major achievement in 1996 was FourScore, the fall festival of music by Consortium composers spread over four programs, one each in Brattleboro, Manchester, Montpelier, and Burlington. From my perspective (though hardly an objective one) there was much to praise: lots of good pieces representing a couple of dozen composers and various media, including electronic and improvisatory; consistently fine performances by Vermont singers and instrumentalists (several of whom were joining us for the first time); good publicity; good reviews by Joe Schaaf (Bennington Banner) and Jim Lowe (Barre Times Argus); generous financial support from the Vermont Community Foundation, First Vermont Bank and BankNorth Group, and Friends of Music at Guilford; collaboration with such important Vermont presenters as the aforementioned FOMAG (thanks, Don McLean! ), the Manchester Music Festival (thanks, Michael Rudiakov and staff! ), and UVM (thanks again, Larry! ); canny budgeting that left us financially solvent; effective house management and hospitality; a couple of large and enthusiastic houses. Not everything was wonderful, of course: too few submissions of scores in several categories led to imbalances in programming, with some composers overrepresented and others neglected (partly from time constraints, partly the result of performers' choices); there was a limited range of musical styles, with a dearth of "cutting edge" material for instrumental and vocal forces; a couple of programs went way over acceptable length; a couple were poorly attended; some composers whose works were being presented didn't show up. We did well; next time, though, we'll do better. It's astonishing to recall what our plucky little organization (with a total annual budget that wouldn't keep most arts groups in coffee and doughnuts) has accomplished during its brief few years. We've had large festivals in Burlington, Putney, Montpelier, Middlebury, and Woodstock, as well as the peripatetic FourScore. We've brought together scores of Vermont composers, and their scores. (Just a little levity, there. Sorry.) We've midwifed hundreds of performances of new and recent works, introducing them into the repertory of dozens of fine singers and players. We've established relationships with such important presenters as the ones named above, as well as the Vermont Symphony Orchestra, the Vermont Contemporary Music Ensemble, the Craftsbury Chamber Players, Sara Doncaster's ambitious Warebrook Festival, WVPR, and many others. We've cultivated new audiences, new venues, new commissions. We've increased Vermonters' awareness of the the wealth of creative musical talent in their own neiqhborhoods. We've assembled an aviary of birds who don't ordinarily þock together: composers amateur, professional, and academic; traditionalists and iconoclasts; purveyors of electronic music, performance art, keyboard improvisation, singing-songwriting in contemporary idiom-as well as the usual bleary-eyed strict-notationists (like me) in European/American modernist mode. Some consensus emerged during an informal meeting in January at the Tunbridge home of treasurer Don Stewart. We're pursuing (cautiously) nonprofit status. We're seeking new grant sources. We're saying a reluctant goodbye to the large festivals of the past, given their logistical demands and the unpleasant realities of arts funding at the millenium. Now that our music is "out there" among audiences and in the repertory of performers, we're going to encourage its continued dissemination by offering to co-sponsor programs that feature music by CVC members. The Consortium itself will present periodically a "sampler" program of moderate length, representing as full a range as possible of works by CVC composers, repeated in various locations around the state. We'll try to increase our presence in the media, especially radio, through local and statewide stations as well as nationally if (with our endorsement, among others') Dennis Kitsz and David Gunn get national distribution of their interview show. What do you think of all this? Tell Consorting. Keep writing, performing, and recording music. Inform Consorting of all your activities, and get the Consortium involved in your events. Let's help each other by supplying artistic support, recognition, even coffee and doughnuts (see budget statement above). Pay your 1997 dues. It's a new year, so we all owe twenty-five bucks. If you have let your membership lapse, then relapse it. Encourage your friends to join: composers, music-lovers, fellow-travellers. Write for Consorting: essays, letters, autobiographies, manifestos, recipes. Join the board, and offer your candidacy for such positions as director, treasurer, and membership chair. Many of us hold these positions by default. It's time to shake the tree (thus supplanting the ornithological metaphor). When we organize our next CVC presentation (i.e. the "sampler" bruited above), send your music. The more we get, the better programs we can make. If any (or all) of this is unsatisfactory, change it. CVC is our organization, uniquely inclusive and democratic (I would say closer to anarchic, actually); it's got a track record, a mailing list, a newsletter, stationery, and money in the bank. What more could you ask? The Vermont Music Teachers Association is commissioning a piece to be premiered at the Fall 1997 Quad State Convention to be held in Maine. The Quad State Convention combines the efforts of Vermont, New Hampshire, Maine, and Massachusetts. We invite you to apply to be considered for the VMTA Composer of the Year award and cash prize of $600. As the Vermont winner, you would be eligible for consideration in the Music Teachers National Association's Distinguished Composer of the Year Competition, which promises an award of $2500 and a performance of the winning work at the next MTNA national convention. A cover letter, stating your interest in being considered for the 1997 Composer of the Year, and an indication of the performance medium for which you intend to compose. A cassette tape and score(s) of on or two representative works. These will be the basis on which the winning composer is selected. Subsequently, the winning composer will compose a new piece for the premier performance at the Quad State MTA Convention. A self-addressed, return postage paid, large padded envelope for the return of materials. Your application packet must be postmarked by March 15, 1997, and sent to Patricia Bergeron, President VMTA, 166 West Street, Essex Jct., VT 05452. The VMTA Composer of the Year must agree that the premiere of the work will be at the Quad State convention to be held at the University of Southern Maine, Gorham, on October 25, 1997. When considering the piece you will premiere, please bear in mind who the performer(s) will be at this premiere. The VMTA will not be able to hire performers. 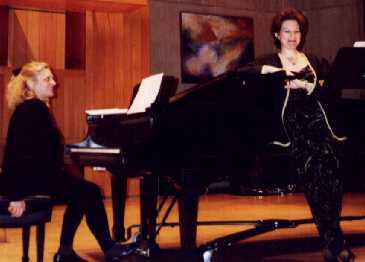 The composer is responsible for providing performers and their transportation to the performance. The commissioned work should be a maximum of approximately 10 minutes in length. The VMTA Composer of the Year may not win two consecutive times. However, he or she may apply again after that. The selection committee formed by the VMTA will review applications and select a winner by sealed ballot. The winner will be notified by letter by April 15, 1997. The $600 honorarium will be presented to the winning composer at the premiere of the composition. Sara Krohn, Immediate Past President VMTA at 362-7049. Young Composers Conference: Festival of the Human Voice II. Drawing from the tremendous resources of many disciplines both on campus and off, The Festival of the Human Voice II is a gathering of students and entertainment and academic professionals involved in all aspects of composing, recording, and performing vocal music. Student and faculty participants from Middlebury, Bennington, Bard, and Dartmouth Colleges will present their compositions. Lectures and performances by a distinctive group of professionals from the world of vocal music will round out this exciting program. Members of the College and Middlebury communities are cordially invited to attend all workshops and concerts, which are free. We celebrate the human voice, our universal tool of expression! Su Lian Tan of Middlebury's Department ofMusic is spearheading a collaborative weekend gathering of entertainment and academic professionals, as well as students, involved in all aspects of composing, recording, and performing, vocal music. "All the music performed is to be as new as possible," Tan says. "We'll have folk, opera, arrangements of jazz standards, voice with electric bass music hot off the presses." Students and faculty members from Middlebury, Bennington, Bard, and Dartmouth colleges will present selected compositions of the last year, and a top-notch group of professionals will lecture and perform. All members of the town and gown communities are invited to attend the free lectures, workshops, and concerts in the Young Composers' Conference: Festival of the Human Voice II. The March weekend offers a stimulating and densely scheduled program of events. The Friday evening concert features Huun Huur Tu, a vocal and instrumental group from Tuva, Siberia; Saturday night's concert, under the direction of Middlebury College Orchestra conductor Evan Bennett, includes excerpts of Ned Rorem's War Scenes, with David Yee, baritone, and Daron Hagen, piano; arrangements by Middlebury students Amy Wlodarski '97 and Jeremy Davidson '97, as well as students from other colleges, of Claude Debussy's Arriettes Oubliés; Su Lian Tan's arrangements of popular songs for female trio; and the Vermont premiere of Daron Hagen's Songs of Madness and Sorrow, with Paul Sperry tenor, and 14 players. Sunday afternoon's concert presents excerpts from Dear Youth by Bard's Daron Hagen; electronic works by George Todd of Middlebury and Jon Appleton of Dartmouth; excerpts from Gimpel the Fool, an original opera by Middlebury students; and other selections. Lectures take place throughout the three-day conference: George Todd wlll speak on the voice and electronics; Robert Pack will talk about the relationship between words and music; Daron Hagen will discuss the marriage of pop music and operatic techniques in his opera Vera of Las Vegas; Lowell Liebermann will discuss the premiere by the Opera Company of Monte Carlo of his full-length Picture of Dorian Gray; Ted Levin from Dartmouth, along with members of Huun Huur Tu, will present a lecture-demonstration on the relationship of vocal music and ecology; Paul Sperry, tenor, who has commissioned a number of vocal works, will discuss his collaborations with composers; and Frances Richard, director of the Concert Music Division of ASCAP, and her associate Cia Toscanini (yes, the maestro's granddaughter) will discuss the intersection of art and commerce. Members of Thomas Fellowship join the students and faculty of the Department of Music in serving as hosts throughout the weekend as Middlebury presents this diverse and respected group of movers and shakers in the world of vocal music. Full details of times, places, and subjects of each workshop, lecture, and concert program are available in a brochure; request one by calling (802) 443-5221. 10:00 am        Opening Address and Welcome. John McCardell, President, Middlebury College. 11:00 am        Lecture 1: The Voice and Electronics. 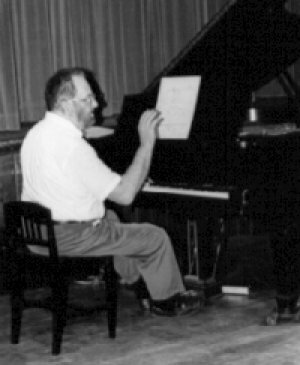 George Todd, Middlebury Music Dept. 1:00 pm         Lecture 2: Contemporary Grand Opera. relationship of vocal music and ecology. 4:15 pm         Lecture 4: Commissioning and Premiering. vocal music, discusses his collaborations with composers. instrumental music from Tuva, Siberia. 10:00 am        Lecture 5: Origins and Assimilation. 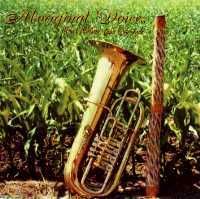 of indigenous musics and western techniques. 11:00 am        Lecture 6: Pop Music and Opera. operatic techniques in his opera, Vera of Las Vegas. 3:15 pm         Lecture 7: Performance Rights and the Vocal Composer. discuss the intersection of art and commerce. Center for the Arts Concert Hall. 7:00 pm         Lecture 8: The Marriage of Works and Music. musical form and reads some of his poems. Vermont premiere). Concert conducted by Evan Bennett. 9:30 am         Sacred Choral Music. Agnus Dei, by Richard Felciano. and works by Jon Appleton of Dartmouth and George Todd of Middlebury. Price: $15.00 plus $2.00 shipping. Make checks out to Mark Nelson. Shipping mid to late October. Check your mailing label. If it’s wrong -- name, address, expiration -- or if you’re not getting a newsletter and know you’re a current member and should be receiving it, please contact our new listkeeper, David Gunn, 7 Huntington Place, Waterbury, Vermont 05676 wheezle@maltedmedia.com. 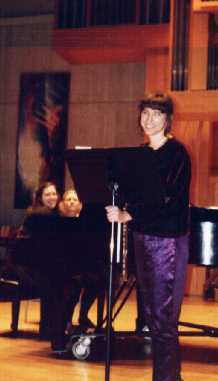 Next Vermont Contemporary Music Ensemble next concert date is April 6, 1997, Sunday at 3 pm, at St. Paul’s in Burlington. The program will be the 10th Anniversary Concert of the ensemble. They will perform music from their commissions over the years: Don Jamison's Imaginary Sunrise; Jim Grant's Dawnwalk and Aubade; Ed Knight's new Colic Frolic; David Gunn's Cowbellies and Help Me Rondo; T.L. 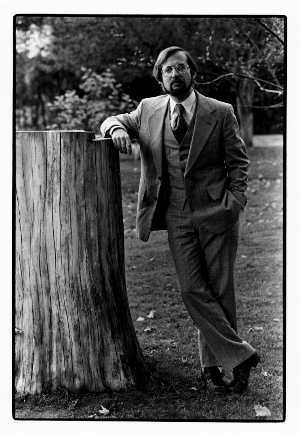 Read's Light After Light, first movement; two of Allen Shawn's Seven Poems; and the first part of Dennis Báthory-Kitsz's A Time Machine. For more information, see the VCME's home page or contact Steve Klimowski. :The VCME is also searching for a new name! Suggestions to date have been VCX, Nevara, and others. Send your ideas to Steve. The Pauline Oliveros Foundation is pleased to announce the Seventh Annual Deep Listening™ Retreat with Composer Pauline Oliveros and T'ai Chi, Taoist and Creative Movement specialist Heloise Gold at the Rose Mountain Retreat Center in the Sangre de Christo Mountains of New Mexico July 13-18, 1997. The Second Annual Advanced Deep Listening Retreat follows from July 20-25. The advanced retreat is for those who have completed at least one Deep Listening Retreat at Rose Mountain. The first week-long training is designed to awaken creativity and a sense of well being through the meditative exploration of listening and sounding, and to learn flexibility in as many forms of listening as possible. Listening and sounding is complemented by gentle creative movement and exercises. Participants may also begin the three year Deep Listening Certificate program to qualify for teaching. Two more advanced retreats and two year long home study projects based on the retreat work are required for the certificate. Deep Listening Retreat participants are not required to be musicians. The exercises are designed to facilitate challenge for each individual at her own level of understanding and creative experience. This Retreat is for anyone interested in expanding and deepening respect and appreciation of an inner music and the possibilities for expressing it: musicians and artists interested in expanding their understanding of sound; meditators interested in enhancing their depth of practice through listening; teachers who want to encourage appreciation for listening in their students; and those interested in well being, relaxation, excitement and connection with others and the environment. Rose Mountain Retreat Center is situated 8,000 ft. up in the pristine Sangre de Christo Mountains of New Mexico. Camping is encouraged, with optional space available for indoor accommodations and participants are provided with healthful, vegetarian meals. The beauty and tranquillity of the center rests on its isolation, simplicity and low-impact relationship with the environment. Far removed from the sounds of urban life, Rose Mountain provides a rich quiet for deep listening. The Pauline Oliveros Foundation, Inc., is a non-profit organization based in Kingston, NY. 1997 marks its twelveth year as an organization committed to the support of the creation and dissemination of new work in music, literature and performance. locally, nationally and internationally. Frog Peak Music (A Composers' Collective) invites all composers to compose a short piece (about 1 minute long) based on a 66 second soundfile of a text written and read by Chris Mann. Frog Peak will produce a CD compilation of these pieces. on DAT: Send a DAT tape (15 minute tapes are fine!) to Larry Polansky at Frog Peak Music. Please write "Frog Peak Collaborations," your name and address on the blank DAT, and include return postage. Please copy this soundfile and invitation freely to other websites, hard disks and digital media. Send DAT tapes of (approximately) 1 minute pieces using only this source material to Frog Peak Music. The format must be 44.1, 16-bit, stereo AIFF. Send as many pieces as you like. Please send the complete title of your piece, your correct name and address, and any notes on the piece in electronic format accompanying the DAT (Macintosh preferred). We will try to put as many pieces on the CD as we can. Composers will retain all rights to their own materials, and will receive two free copies of the final CD. Please distribute this invitation freely. The Kalvos & Damian New Music Bazaar radio show and the on-line Bazaar it inspired have grown. The site counted over 25,000 visitors in 1996 and now includes pages on each guest composer (see the index of composers), together with their catalogs, interview clips, musical examples, biographies, and other goodies; this newsletter and special Consortium announcements; news of the Vermont Contemporary Music Ensemble, a large list of composer websites worldwide, and an extensive list of resources available for composers. The site includes photos and sound clips, together with sound players for web browsing software. Visit the Kalvos & Damian Home Page and explore more than 500 on-line pages, photos, graphics and audio clips. Interesting place to visit: Take in the essays found at the Music Unbound site. This is a provocative locale. According to the brochure, "If great contemporary music is to continue to be created in America, gifted young composers must be nurtured and their work supported. With public and private funding for the performing arts diminishing, it is imperative that the business and academic communities take a more active role in encouraging the growth and development of our nation’s young talent." The competition, sponsored by BMG Music Service and Williams College, "has a single purpose: to promote the creation and performance of contemporary music by today’s most promising young composers." For more information, contact Hilary Greene, Program Manager, The National Young Composers Competition, 5 Southworth Street, Williamstown, Massachusetts 01267. Telephone 413-597-3730; fax 413-597-2594; email composer@williams.edu. On June 22, 1996, at the Congregational Church in Springfield, Vermont, there was a premiere performance of Drawing on Musical Time by Larry Grover and Randy Collyer. The work is based on the idea of Moussorgsky’s Pictures at an Exhibition, and presents a showing of pencil drawings (by Randy) integrally connected in their content to original, companion music (by Larry), being simultaneously heard as each drawing is projected. The performance was sponsored by the New Beginnings group. Zeke Hecker reports that he's been busy this summer completing the orchestration for his musical comedy Barrataria, based on the play The Island of Barrataria by Royall Tyler, Vermont jurist and author during the Federalist era (resident in Guilford and Brattleboro, Zeke's proud to say). Tyler is best known for "The Contrast," as well as the novel The Algerine Captive and reams of poetry, but The Island of Barrataria was virtually unknown and probably unperformed until an outdoor production in Guilford in 1976; Consortium member Don McLean, something of a Tyler scholar, was largely responsible for this revival, for which Zeke composed incidental music. It seemed to him that the play would make an entertaining musical comedy, and the idea simmered for nearly two decades, after which he hauled out the script, jettisoned all but a couple of numbers from the incidental music, and began writing two dozen new songs and and concerted numbers. That was three years ago, and now the project is nearly complete. Friends of Music at Guilford has plans to produce the work sometime within the next year or so. Lisa McCormick has released her new CD, Right Now, available from Rising Records, P.O. Box 327, Princeton, Massachusetts 01541, 1-800-798-8989. Lisa's upcoming concerts: October 27, Northampton, Massachusetts, at the Iron Horse, 7pm, with Jonathan Edwards. November 24 in White River Junction, Vermont, at the Briggs Opera House, 5 pm, with Jonathan Edwards. For other appearances, contact Lisa at RD #1, Box 182, Putney, Vermont 05346. The Kalvos & Damian New Music Bazaar -- radio show and website for new music -- has begun its 1997 travels to record interviews with composers in North America and Europe. The Bazaar is broadcast every Saturday afternoon from 2:30 to 4:30 on WGDR-FM 91.1 in Plainfield, Vermont. The Bazaar also begins internetcasting in February from its home page, http://www.maltedmedia.com/kalvos/, in RealAudio 3, a high-quality, stereo audio stream. Though the internetcasts will begin with the current shows, eventually all 90 past shows will also be archived. K&D are also preparing edited shows for radio stations in New Hampshire and Massachusetts. 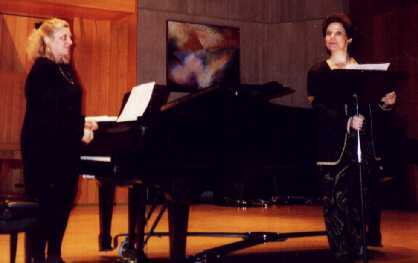 Vermont composers were consistently featured in the show's first year, with more than 30 interviews, but have been sparse in 1996. Vermont composers are very much encouraged to contact the producers, Dennis Báthory-Kitsz (802-485-3972; 176 Cox Brook Road, Northfield, Vermont 05663) and David Gunn (802-244-1747; 7 Huntington Place, Waterbury, Vermont 05676). Composer interviews and music run 60 to 80 minutes on each program. Since the last Consorting, K&D show guests have included electroacoustician Marc Battier and Kitchen co-founder Rhys Chatham (Paris), artificial intelligence expert Peter Beyls (Brussels), sustained-music creator Maria de Alvear and composer/theorist Klarenz Barlow (Cologne), orchestral addict Benedict Mason (Amsterdam), eclectic chamber composer Richard St. Clair (Boston), and post-minimalist Michael Torke (New York). A special presentation upcoming on K&D's February 8 show is "Gimpel the Fool", an opera by students of Su Lian Tan of Middlebury. The opera, complete with 16 instrumentalists, will be performed live in the Bazaar's performance studio at WGDR. Michael Torke was recorded in his apartment in New York City. New York visits also included groundbreaking electroacoustician David Behrman, opera composer Daron Hagon (who will be at the upcoming Middlebury vocal music festival), creator of computer-generated rock music Nick Didkovsky (Dr. Nerve, coming to Dartmouth April 5), eclecticist Jeff Harrington, electroacoustician/improviser Tom Hamilton, performance artist Peter Van Riper, chamber composer and quasi-pop performer Eve Beglarian, computer composer Chris Koenigsberg, and eclecticist Joseph Celli. A tour to Toronto is also scheduled, where K&D will be joined by a wide range of creative expression represented by Gary Barwin, Bill Gilliam, Elma Miller, James Tenney, John Oswald, Linda Catlin Smith, and Udo Kasemets. Other composers are currently being scheduled for the Toronto visit. Finally, European interviews in March will include Frederic Rzewski, Tom Johnson, Georg Hajdu, Karlheinz Essl, and Arthur Sauer, and there will be return visits with Anne La Berge and Richard Tolenaar in Amsterdam, and Rhys Chatham, Eliane Radigue, and Marc Battier in Paris. These five composers will be joining the Vermont Web Project, mentoring Vermont composition students through live, on-line chat and Midi file exchange. Again, Vermont composers are encouraged to join the K&D show, whose schedule is open beginning in April. The composer-hosts can also be reached by email: Dennis (Contact Form) or David (wheezle@maltedmedia.com). Keep in touch with the Bazaar at its new, easy-to-remember URL, http://www.maltedmedia.com/kalvos/. Members’ addresses and phone numbers are only provided with the printed version of the newsletter. Please contact David Gunn. This list was updated October 6, 1996. Board: David Gunn, Craig Hanson, Bill Harris, Zeke Hecker, Lisa Jablow, Dennis Báthory-Kitsz, Maria Lattimore, Ed Lawrence, Peggy Madden, Don McLean, Erik Nielsen, Bea Phillips, Thomas L. Read, Don Stewart, Gwyneth Walker, Batya Weinbaum.